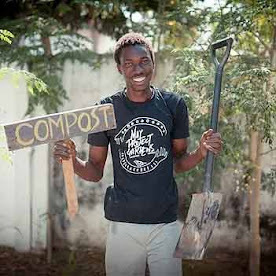 We are Hestel Tellus; two persons running a project called 'compostfarming' in the Alentejo-Portugal. On this blog we tell about our experiences with the composting of grasses and herbs (harvested from our land), and about the vegetable garden that we provide with this compost in the local soil (the stone dust) of the Alentejo. Hestel Tellus is a private and independent initiative; a project purely about composting and horticulture. 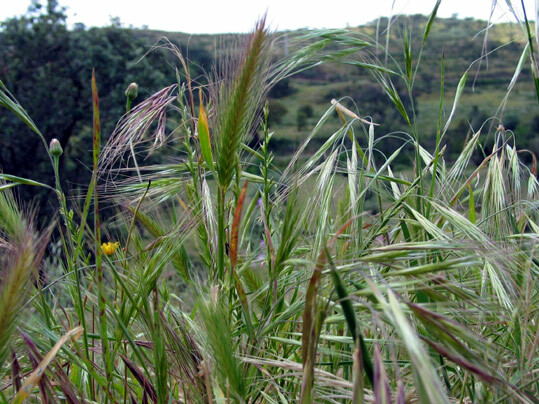 In the past we had a composting company in Holland, where we composted grasses from third parties. After our retirement we moved to Portugal and continued our composting technique on a smaller (personal) scale, under Portuguese conditions; primarily to set up a vegetable garden for self support. 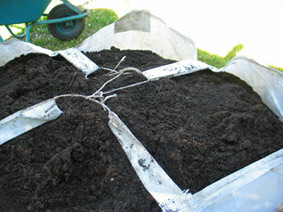 Here we found out how the compost literally brings the soil (the Portuguese stone dust) to life for growing our food. This is how we developed a model which allows anybody (who knows and wants this) to implement a self support existence for him/her selves, the family and/or the community... anywhere on this globe where there is grass and stone dust. Without the necessity to raise cattle, but not necessarily excluding it. Although our model is developed from a scientific basis (by ing. dr. H. Krantz, about 1935) we base all we do on a personal and purely practical level. What you see is what you get. Besides being creative, we do not include politics, religion or any form of spirituality. The latter is irrelevant to us. Our daily practice and environment inspire us adequately. 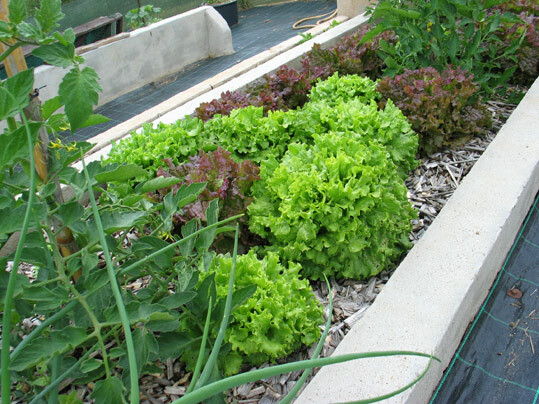 Raised beds with a mix of soil and compost, with mulch (chopped cane) on top. - A practical summary... About composting grasses, how I do it. - How to start composting by immersing hay... Why immerse before composting? - This hay is great stuff for composting... Dry grasses make composting easier. - Our soil is fertile! Compost is not a fertilizer. It is a precondition for soil activity. - Old knowledge. New insights. About one of our sources of knowledge, Dr. Elaine Ingham. - The Method Krantz... history and publications; the basis of our method. And more... to find in the sidebar of this blog. Obviously you can do more with a grassland than only feed your animals. Make grass-compost and bring your garden to life! Short and sweet guide, thank you!